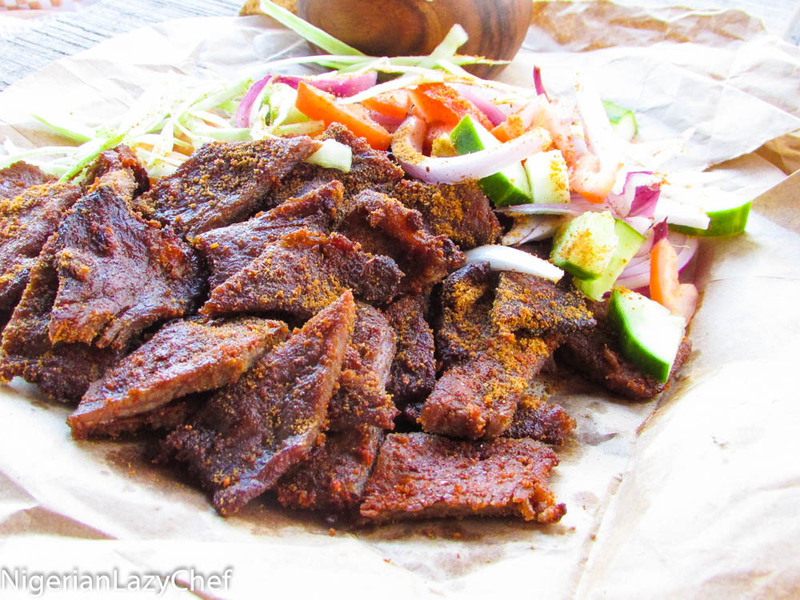 I’d like to say this is suya with a popping difference. I was going to share this during the past holiday season, but I was too beat down to even function. I was doing too much at once and it just seemed as if I could not do anything. I decided to learn to pace myself; as success is not judged by how far, but by how well. I want to put out recipes for my readers, but I like to put out a well thought out recipe. One thing I do not want to hear is that a recipe of mine did not work out for a reader. 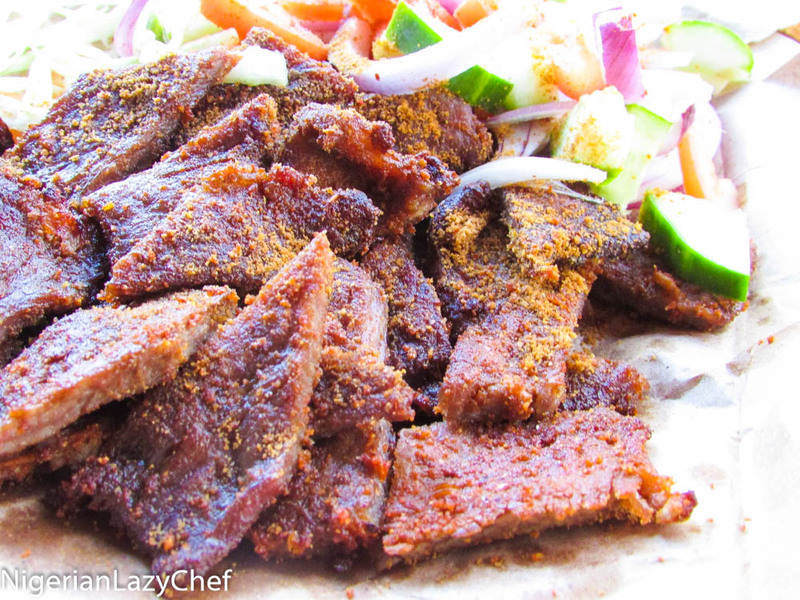 Anyway, I was experimenting with some lamb and I decided to make some suya out of it. See, in Nigeria we make suya out of ram and pretty much every meat, but my favorite is ram and the closest to ram that I could find in my neck of the woods was lamb. 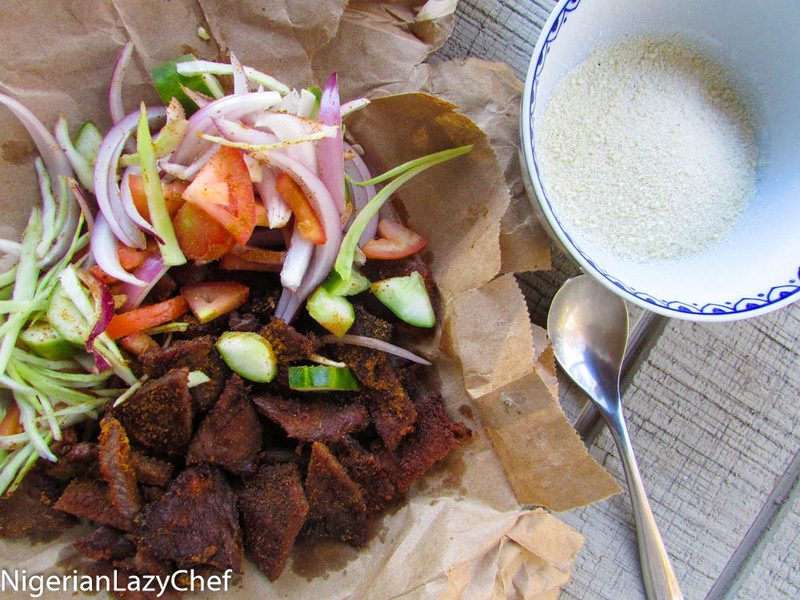 For me, making this suya meant making something totally different. Something that usually is not the norm…I thought and thought to myself until I came up with this recipe. 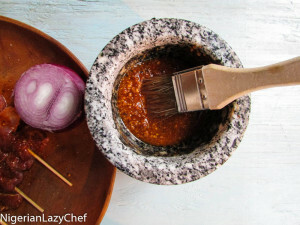 It is simple and easy and has a unique, spicy taste to it. 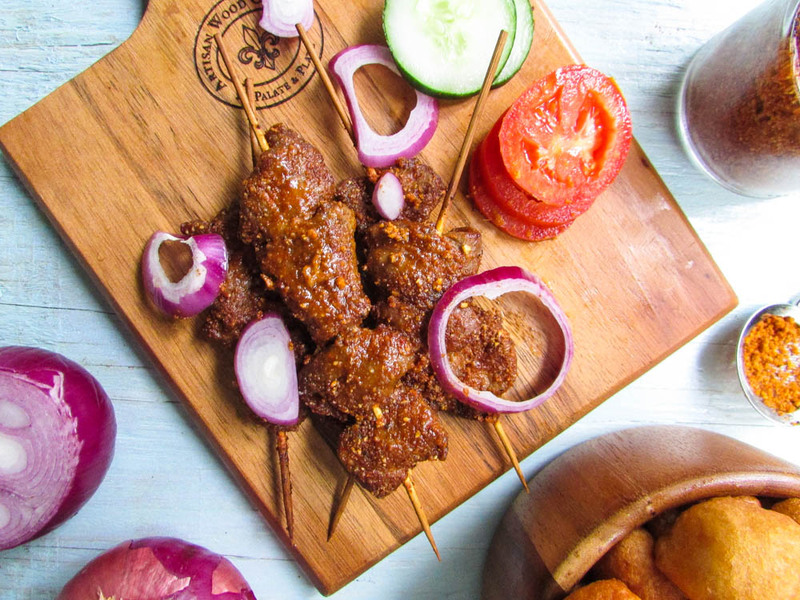 When it comes to making suya, there are two different spices. One is to season and one is to serve. But I ran out of the seasoning, so I used Yaji; which is the one meant to serve the suya. You could season and serve with the Yaji, no harm done really. We no be Mai Suya na(one who makes suya professionally). If you don’t like ram, lamb or even beef, I promise you could use any meat you like; even up to sea food. crush the pepper, bouillon(if using) and onion together then work it into the lamb pieces. 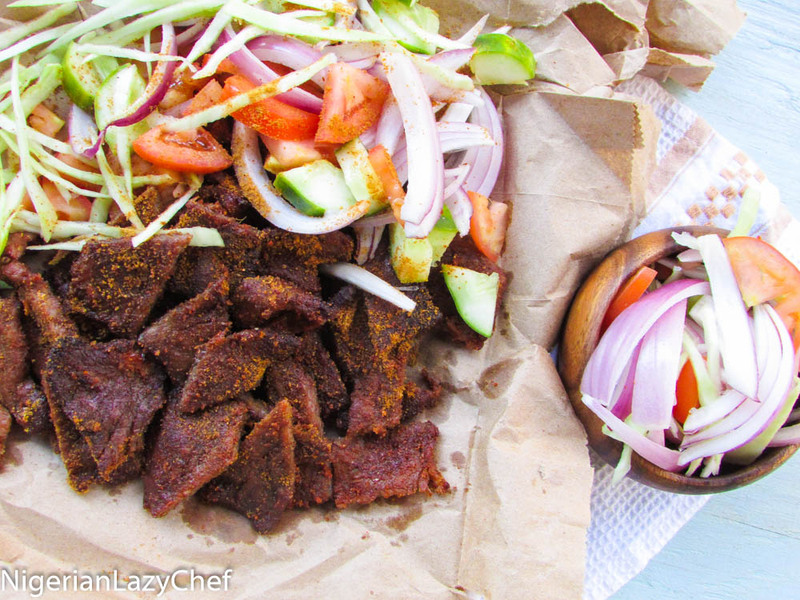 Mix the suya spice with the oil. This entry was posted in Appetisers, Appetizers, Barbecue Recipes, Lamb Suya, Nigerian small chops, Nigerian snack, Nigerian Snacks, Nigerian street food, Nigerian Street Foods, Nigerian Suya, Protein, Protein Dishes, Ram suya, Snack, snacks, Street food, Street Snack, suya and tagged Beef Suya, Beef Suya recipe, lamb suya, lamb suya recipe, Nigerian food blog, ram suya, ram suya recipe, suya, Suya recipe.